The Embyos are Coming! The Embryos are Coming! 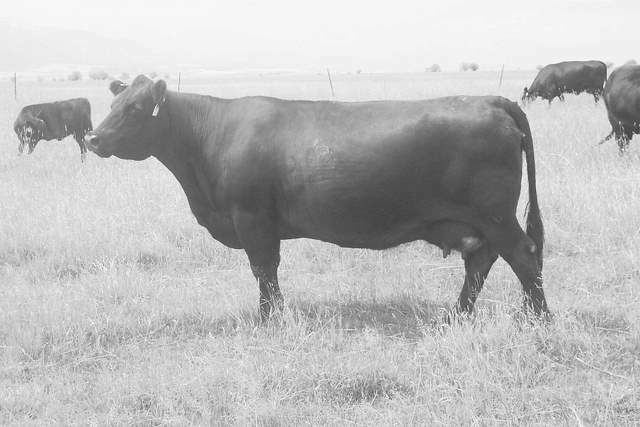 So far we have had 2 heifers and a bull by Horse Butte 1126 of 3128 X Shoshone Prudence 6157. That gives us a grand total of 6 females and a bull by this mating. We also have a heifer by Friars of Wye X 6157. She is a full sister to our M C C LOGAN bull. Finally we have had an outstanding bull by Shoshone Felix 6310 J O D.
There are a few more recip cows springing up so hopefully we’ll get a few more calves out of this wonderful 18 year old cow.